If ever there was a perfect storm around Mobile Device Management, the BBC’s political editor Nick Robinson, could safely be said to have been at its apex this week. The well known British journalist lost his mobile phone whilst off duty watching a football match at Manchester United. Ordinarily this would have been a mere inconvenience, but when your phone contains the mobile contact details for most of the Cabinet, including the Prime Minister, it’s more than just an ouch of embarrassment! The BBC have not given further details about whether it was their corporate issued device, or Nick Robinson’s personal mobile. No.10 are treating it as a “serious security breach” and it is being investigated also by the Information Commissioner. Whatever the case, the BBC’s security governance policy should cover all devices for those staff who carry sensitive data of any nature, in which case they could have shrugged it off lightly with a mere remote lock and wipe. The drive for logistics operators to make their business uber competitive, with ever economic solutions, cost-savings and service-led delivery has just got a step closer with the increased adoption of telematics for the industry. Longstanding operators and one of the first pilot customers, Logistik in XXL use the TC eMap® software with an integrated tracking function and software from telematics provider Daimler FleetBoard to which it is linked and which helps make the process transparent. MD for Logistik in XXL Volker Asche, comments: “Our dispatchers are able to determine the whereabouts of the goods in real time, optimally plan routes and inform customers about the location of the cargo. Via Daimler FleetBoard’s connection to TimoCom’s freight and vehicle exchange, the whole fleet is displayed on only one screen making complicated switching between different apps a thing of the past. In addition, protracted telephone calls with drivers are spared without limiting the information flow”. This ability to locate the vehicles automatically on the exchange adds to customer trust with the increase in offering of security measures, all of which emphasises the importance of effective mobile device management across logistics organisations to safeguard their door to door service. Hewlett-Packard’s second quarter results are out, and the picture is not pretty. Off the back of this HP announced another 10,000 to 16,000 job cuts are imminent. This brings the total of layoffs since Meg Whitman became CEO to a staggering 50,000. Besides this unpleasant news Meg Whitman said that the HP turnaround remains “on track” during an earning call, we also learned that the turnaround is now at its midpoint. The job cuts are primarily coming from HP’s services, an area they have struggled in recent years. The long-term turnaround is based on less reliance on low-end PCs and increased sales of high-end servers. Which of course makes a lot of sense on paper, but is a lot easier said than done. At this point it is uncertain how well the HP turnaround will go in the long-term and hopefully we have seen the last of the job cuts from HP for a long time. With Surface Pro 2 launching just last October Microsoft caught many off-guard when it announced its successor, the Surface Pro 3 this week. The Surface Pro range does not chase after the iPad market and instead has defined itself by the difficult balancing act of being both a tablet, when on the go and a laptop, when in the office. 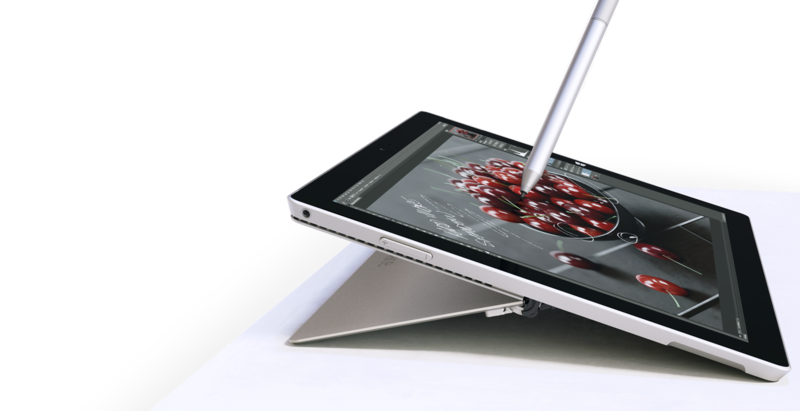 The Surface Pro 3 is shaping up to be the best realisation of this concept thanks to several clever updates. The Pro 3 is both lighter and thinner than the MacBook Air, touts a new 12” screen and battery life is up to 9 hours. In an uncharacteristic move for Microsoft, pre-orders went live the same day as the announcement. Will these upgrades be enough to finally tempt corporations to exchange their laptop and tablets for Surfaces? For most, not yet, but Microsoft has given us the most convincing argument for device convergence yet, a strategy that could not only increase security, productivity and mobility – but also reduce management and admin costs. Major headache for Google as Euro court ruling supports take down requests. A European court has ruled this week that individuals could force the removal of “irrelevant and outdated” search results. Google is starting to receive fresh takedown requests for information links that could otherwise show up in old caches when searches are made. Google refuses to confirm how many requests have been made and is remaining tight-lipped about the EU ruling, after initially responding that the “right to be forgotten” ruling was “disappointing”. The EU has been pushing heavily for a new law on data privacy – of which “right to be forgotten” is a key component, since it proposed guidelines in January 2012. It does appear to contradict the EU advocate general’s advice in 2013 that search engines would not be obliged to honour such requests. Whilst EU Commissioner Viviane Reding is calling it a victory for the protection of personal data, legal commentators consider it will be hard to implement and difficult to manage. In the meantime, the door to the Information Commissioner’s Office is likely to be on the receiving end of a few more knocks for advice. This demonstrates a real conflict between a perceived infringement of privacy and the rights of free speech and freedom of information for society. If the full EU proposals do get passed, firms that do not comply with the law could face fines of around 1% of their global revenues. Android has been hugely successful in the commercial market, taking the dominant lead and keeping it for quite some time. However Android has never be known as the most secure mobile platform, keeping many companies wary of adopting Android devices for their workforce. To convince corporates to keep their sensitive data on Android, Samsung has taken it upon themselves to create their own security platform to tackle this particular issue. Called Samsung Knox, it now runs on most of Samsung’s top-end phones and tablets securing the device from the kernel to the application level. Now, the UK government will allow UK public sector workers to use select Samsung phones and tablets following the Knox platform being approved by the Communications and Electronic Security Group (CESG). This is a big win for Samsung who already takes the lion share of Android sales, in addition to public sectors now being able to choose these devices this could very well have a ripple effect with other corporations seeing this as a sign of maturity for Samsung’s devices in-terms of security and follow suit. Other Android OEMs such as HTC, Sony and LG have a lot of work on their hands if they want to play catch up with Samsung. Microsoft’s Kinect camera was originally introduced into the world as a gaming peripheral but it’s not hard to argue that it’s most interesting application has actually been in healthcare. Jintronix a Montreal based company with a history of motion-based physical rehabilitation has received 510(k) clearance from the US Food and Drug Administration (FDA) for its rehab system. 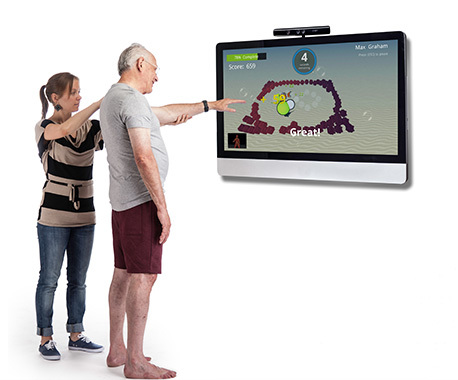 The system itself uses Microsoft’s Kinect camera to help stroke victims recover physical functions without any sensors needed to be worn on the body. The technology behind this, although impressive and with allot of clever applications already delivered is due for a big overhaul as version 2 nears release. We can only imagine what visionary developers will be able to design when the new Kinect for Windows roles out soon. Volvo Car Group’s “Drive Me” project has started testing its automotive prototype on the streets of Gothenburg, Sweden. Volvo stress the uniqueness of this project over the Google self-drive cars is that it involves all the key players: legislators, transportation authorities, a major city, a vehicle manufacturer and real customers. The intention will be to have 100 such vehicles on the road by 2017. 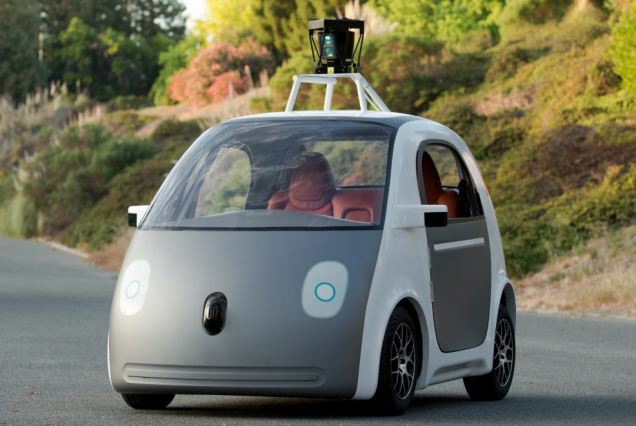 The self-driving cars use radar, camera and laser technology to monitor the nearby environment. Technical expert Erik Coelingh advises that “almost all collisions that occur are caused by human error so if you automate driving, you take away the causes of many accidents and you can make traffic safer.” Volvo’s self-driving cars use radar, camera to monitor traffic and infrastructure around the vehicle, as well as GPS in order to get the latest map data to the vehicle’s computer. Time is moving swiftly in the world of robotics – and whilst the thought of a driverless car fills most of us with terror, Volvo are clearly intent on demonstrating technical leadership. With a long history of safety, they already have the credibility of their brand. It is just about making this new step acceptable in the eyes of the consumer. If you don’t want to get scared just yet, simply avoid Sweden’s 30 miles of selected roads during the test phase! Sony not content with the recently revealed Archival Disc, capable of storing 300GB per disc, has teamed up with IBM to also give storage tapes the modern treatment. Tapes store allot more data and hold it for longer than disc’s. 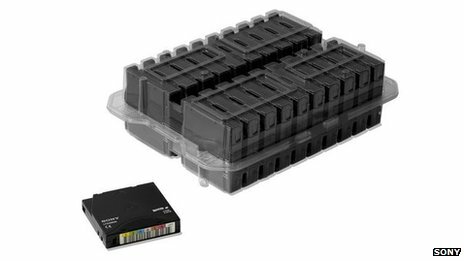 The new Sony tapes can hold a staggering 185 terabytes of data per cartridge, the equivalent of 3,700 Blu-ray discs. In addition to storing an impressive amount of data per cartridge the density of data – 148 gigabits per square inch beats the world record more than five times over. This is definitely one to watch and could be the answer too many corporations’ storage needs, especially in an increasing cloud based, digital world. Internet piracy is an issue all around the world, costing the entertainment industry billions. The entertainment industry bodies and UK ISP’s (Internet Service Providers) have completed a deal to help fight internet piracy. The ISP’s involved so far are BT, Sky, TalkTalk and Virgin Media. Right holders will be the ones listening in to traffic on bit torrent networks, this will form a Copyright Infringement Report which will be sent to the relevant ISP. The ISP will then verify these reports with their own records, if this matches up the ISP will send out an email/physical letter to the account holder. These alerts pinpoint the activity in question and suggest legal alternatives for users getting their entertainment online. The alert system is planned to run for three years with regular reviews on its effectiveness. This is an interesting step if not a very late one and the approach could be considered very soft. Hopefully these alert messages will have the desired effect but we will have to wait for the first review to see what impact – if any, these have. With the arrival of Microsoft Office on iPad, Microsoft has joined Apple and Google to become the latest giant to not include access to their competitors cloud storage on their mobile office apps. Instead users are forced to use their own cloud environments to store documents. If mobile users are restricted to OneDrive and SharePoint, Google Drive and iCloud respectively, why bother with cloud storage companies like Dropbox, Box or SugarSync on the desktop? Whilst it may be their way of pushing their ecosystems, versus purposefully edging out the competition, the commercial results could be the same. Smartphone evolution – we saw it coming! Human Media Lab in Canada’s Queen’s University has created a fully functional multi-screen foldable smartphone prototype, Paperfold. 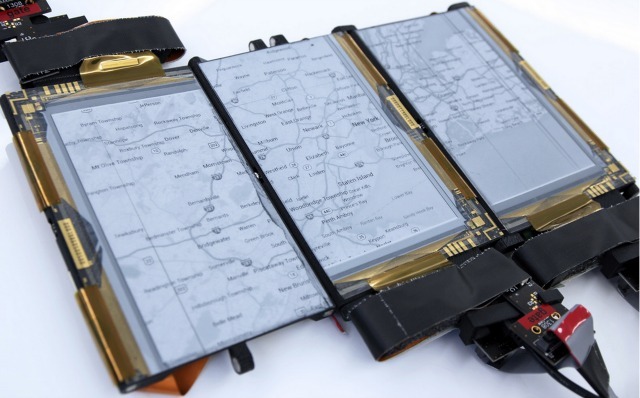 It has three snap-together display screens which have a clever use of linkable maps and can be used to create 3-D prints. This shows greater potential than other previous versions seen such as Kyrocera. Notably in 2010, Microsoft developed and then killed its book-like tablet, Courier, whilst Sony released a costly digital paper tablet earlier this year. With an increasingly mobile workforce, the potential for Paperfold is greater as a transformable, flexible device. With the evolution of digital displays and e-ink technology, this is definitely something to watch out for in future.